What: The Google Cloud Pub/Sub connection allows you to stream changed profiles from BlueConic to Google Cloud Pub/Sub. Why: Your business intelligence team already works on deriving strategic information from your data store. BlueConic features a unique data collection engine that captures data and events at the customer level for known and anonymous users. Handing over this information to your Google Cloud data store in real time gives your BI team complete freedom in how to process, enrich, and improve existing reports and applications and invent new ones. As your customers interact with your sites and channels, BlueConic can collect this data and provide insights and dashboards. You can further activate your BlueConic data by handing it off to an event queuing system such as Google Cloud Pub/Sub through a 'firehose' stream in near real time. Note: By using this connection you will create a stream of data on the network and infrastructure of BlueConic and its third-party suppliers. To prevent excessive use of this capacity by Users, certain fair use policies (subject to change by BlueConic from time to time) apply to the use of this connection. The usage limits on this traffic that are applicable under this fair use policy can be found by clicking on the BlueConic Settings icon in your BlueConic tenant and by selecting the [General] settings. The aggregated maximum amount of traffic you are allowed to generate under our fair use policy is specified in the column “Subscription” of the “Firehose traffic” table. Your actual usage is also specified. If at any time you (need to) generate more traffic than the specified fair use maximum in the Subscription column and you want prevent additional charges, stop using this connection or contact your BlueConic Account Manager for a quote immediately. Either way your continued use of this connection constitutes your acceptance of any additional charges or Fees as they may apply. A pop-up window appears. Check the Show all box. Enter "Google" in the Search bar. The Google Cloud Pub/Sub Connection page opens. Create or retrieve your service account key. Note: Select a JSON key in your Pub/Sub service account. The service account must have the 'Pub/Sub Publisher' and 'Pub/Sub Viewer' roles. This key can be created in the Google Cloud Console at IAM & admin > Service accounts. Once your connection is authenticated, the green arrow lights up between BlueConic and Google Cloud Pub/Sub. In the left-hand column, click Add goal and select Stream profiles to Google Cloud Pub/Sub to set up a streaming goal. You create, copy, and customize goals in the Streaming goals section. Tip: You can customize the name of your streaming goal, for example, Stream all profiles. Choose one or more BlueConic segments, whose updated profiles will be sent to Google Cloud Pub/Sub via the firehose. Search and choose segments to include. 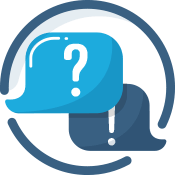 Choose the topic to which the changed BlueConic profiles are streamed. This list of topics is retrieved from your Google Cloud Pub/Sub account. In this step, you choose when to send a message to the firehose stream (in the left-hand column), and what data to send (in the right-hand column). See Setting firehose streaming goals for details on configuring the events and data to send to the stream, and examples of the resulting firehose streaming messages. Profile changes are sent to the firehose 2 minutes after the last change to the BlueConic profile. Learn about real-time data for firehose streaming.